Objective: This study aimed at qualitatively evaluating the remineralization potential of casein phosphopeptide amorphous calcium phosphate on artificial early enamel lesions in an ex-vivo scenario by observing the treated tooth surface using a scanning electron microscope (SEM). Materials and Methods: This randomized study was conducted on 10 subjects undergoing orthodontic treatment with premolar extraction as part of their treatment. 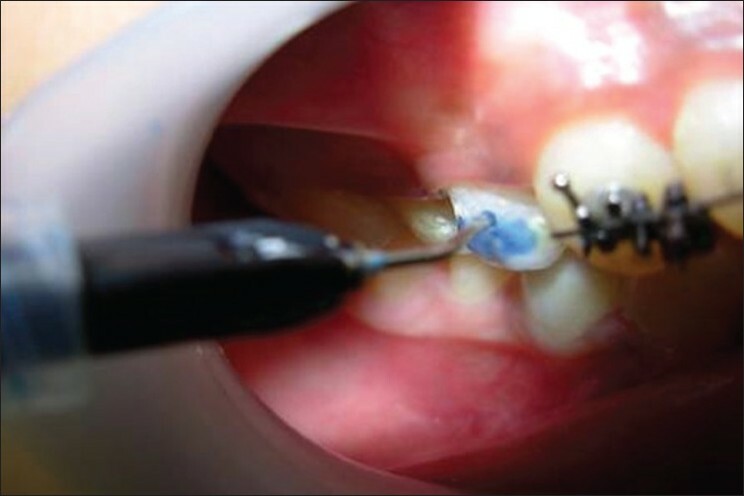 Artificial white lesions were created with the application of 37% phosphoric acid for 20 mins. Teeth were then divided into two groups: one experimental and the other control. Customised orthodontic band with a window was luted with intermediate restorative material in the experimental group whereas in the control group, band without a window was luted. The casein phosphopeptide amorphous calcium phosphate (GC TOOTH MOUSSE) paste was then applied on the window region of the experimental group for 3 mins thrice daily after meals for 14 days, whereas no paste was applied in the control group. After 14 days, teeth were extracted and viewed under an SEM. Results: The study groups showed remineralization of the lesions as compared with the control group in most of the samples. Conclusion: Casein phophopeptide could significantly remineralize the artificial enamel lesions in vivo. Aims: To compare the effect of Manuka honey, chlorhexidine gluconate (0.2%) mouthwash and xylitol chewing gum on the dental plaque levels. Materials and Methods: Sixty healthy male dental students aged between 21 and 25 years (mean age 23.4 years) participated in the study. All the subjects received a professional prophylaxis at the start of the study, with the purpose of making the dentition 100% free of plaque and calculus. The subjects were then randomly divided into three groups, i.e. the Manuka honey group, the chlorhexidine gluconate mouthwash group and the xylitol chewing gum group. Rinsing with water or any other fluid after the procedure was not allowed as also any form of mechanical oral hygiene for all the subjects during the experimental period of 72 h. After the experimental period, the plaque was disclosed using disclosing solution and their scores were recorded at six sites per tooth using the Quigley and Hein plaque index modified by Turesky-Gilmore-Glickman. Results: The mean plaque scores for Groups I, II and III were 1.37, 1.35 and 1.57, respectively. The ANOVA revealed that between-group comparison was significant, with an F-value of 5.99 and a probability value of 0.004. The T-test was carried out to evaluate the inter-group significance, which revealed that the plaque inhibition by Manuka honey was similar to that of chlorhexidine mouthwash. Both Manuka honey and chlorhexidine mouthwash reduced plaque formation significantly, better than the xylitol chewing gum. Conclusion: Manuka honey and chlorhexidine mouthwash reduced plaque formation significantly better than xylitol chewing gum. Aim: Growth and development of the human face provides a fascinating interplay of form and function. Among the various facial bones, the mandible plays a very important role during various growth-modification therapies. These treatment modalities will yield a better result in less time if properly correlated with skeletal maturity. It is very essential to know where the site of growth occurs and also the time when it occurs or ceases to occur. This study was conducted to assess the mandibular dimensions at various stages of skeletal maturation. Materials and Methods: The subjects included 6 to 18-year-old children who were grouped according to their middle phalanx of the third finger stages of skeletal maturity. 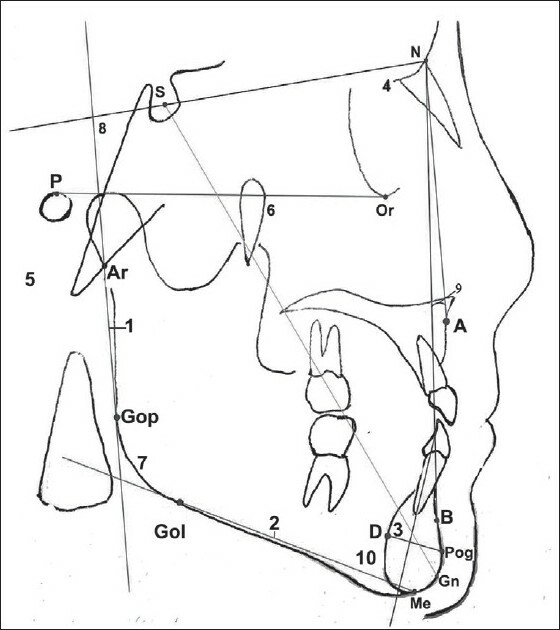 Lateral cephalographs were taken and, from their cephalometric tracings, linear and angular measurements of the mandible were made. The values obtained were subjected to statistical analysis. Results: Results showed that the mandibular height, length and symphysis thickness increased with skeletal maturity. An increase in angles SNB (Sella, Nasion, Supramentale) and L1-MP (Long axis lower incisors- Mandibular plane) and a decrease in the gonial angle and ANB (Subspinale, Nasion, Supramentale) angle were observed. Conclusion: The study showed a significant correlation between mandibular growth and skeletal maturity. 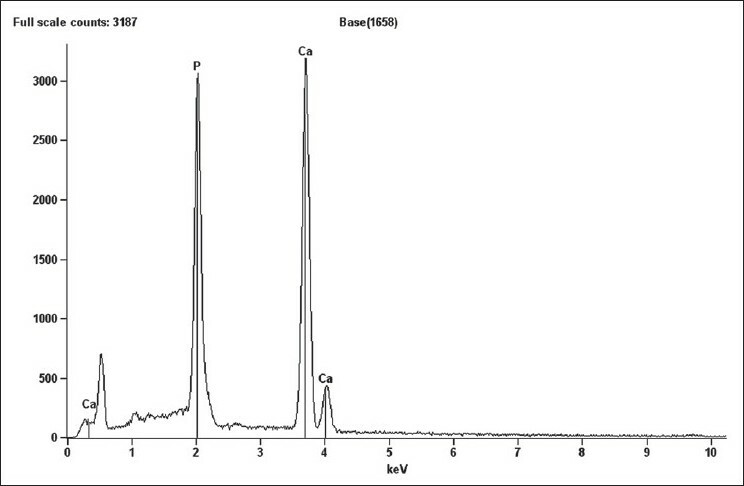 Objectives: The study assessed quantitatively the calcium and phosphorous loss from the enamel surface following bleaching with 35% hydrogen peroxide and reversal with 10% sodium ascorbate using energy-dispersive X-ray analysis (EDAX). Materials and Methods: Eight non-carious, freshly extracted human permanent maxillary central incisors without any visible defects were used. Each specimen was bleached with 35% hydrogen peroxide activated by light and reversed with sodium ascorbate antioxidant gel. The calcium and phosphorous content in weight percent of sound, bleached and reversed enamel was acquired using EDAX. The Ca/P ratio was calculated from the obtained data. One-way ANOVA followed by Post Hoc Tukey test was used for comparing the Ca/P ratio of sound, bleached and reversed enamel. Results: All the samples subjected to bleaching using 35% hydrogen peroxide showed a statistically significant decrease in the Ca/P ratio as compared with samples in which no bleaching procedure was performed (P-value < 0.01). The striking finding was that there was a significant increase in the Ca/P ratio on application of sodium ascorbate antioxidant gel when compared with the bleached enamel (P-value < 0.01). Conclusion: The authors concluded that 35% hydrogen peroxide causes a significant decrease in the Ca/P ratio. This decrease in the Ca/P ratio can be restored by the application of 10% sodium ascorbate antioxidant gel. Long-term clinical failures of cemented prosthesis depend, to a large extent, on the integrity of the luting agent. The causative factors that lead to microfracture and, hence, failure of the luting agents are the stresses acting inside the oral cavity. Therefore, the present study was designed to develop an understanding of the relationship between stresses in the tooth and the failure potential of the luting agent. 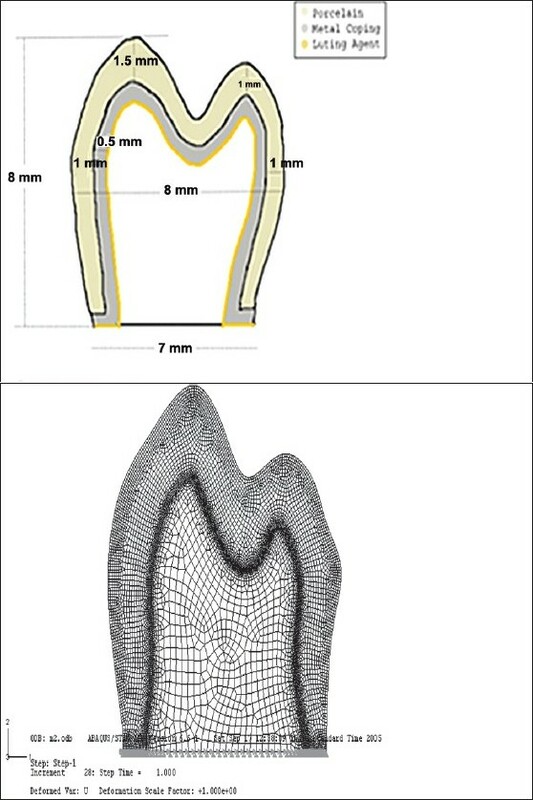 Two-dimensional finite element stress analysis was performed on the mandibular second premolar. The behavior of zinc-phosphate and glass-ionomer were studied under different crowns (metal-ceramic and metal crown) and loading conditions (mechanical force of 450 N acting vertically over the occlusal surface, thermal loads of 60° and 0°C). It was observed from the study that failure threshold of the luting agent was influenced both by the elastic modulus of the luting agent and by the type of the crown. Introduction: Sterilization of the root canal is a prime aim of successful endodontics. The cleaning and shaping of the canal is directed as achieving this goal. The extrusion of apical debris has a deleterious effect on the prognosis of root canal treatment. Several instrument designs and instrumentation techniques have been developed to prevent this. Materials and Methods: Forty caries free single rooted human mandibular premolar teeth were divided in four groups of ten teeth each. Teeth in each group were instrumented until the working length with rotary ProTaper, K3, Mtwo systems, and hand K-type stainless steel files. Debris and irrigant extruded from the apical foramen were collected into vials and the amounts were quantitatively determined. The data obtained were analyzed using Kruskal-Wallis one-way analysis of variance and Mann-Whitney U tests. Results: The results show that all instrumentation techniques produced significant amount of extruded debris and irrigant. The engine-driven nickel-titanium systems showed less apical extrusion of debris and irrigant than manual technique. No statistically significant difference was found between the groups at [P > 0.05]. Maximum apical debris and irrigant extrusion was seen with K-file group and least in the Mtwo group. Conclusions: The use of rotary files and techniques to perform instrumentation does show less extrusion of the debris and irrigant from the apex. This can contribute to more successful endodontic therapy. Statement of Problem: As per the review of literature very few studies have been carried on recasting of dental casting alloy and in particlular its effect on occurrence of porosities. Purpose of Study: This study was designed to find out occurrence of porosities in new alloy and recasted alloy using a scanning electron microscope. Materials and Methods: Different percentage combinations of new and once casted alloy were used to produce twenty five samples. Castings obtained from new alloy were used as control group. 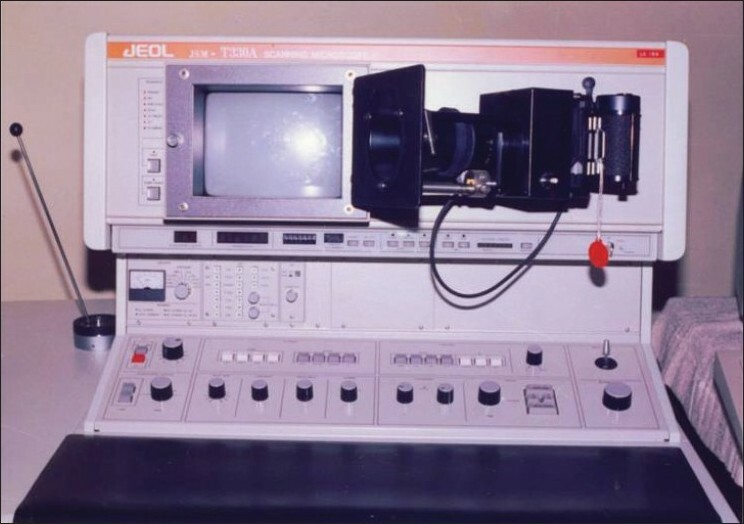 All the samples were scanned under scanning electron mocroscope and photographs were taken from three specific sites for comparison. Results: There is no significant difference in occurrence of porosities in casting obtained by using new alloy and recasted alloy. Conclusion: With in the limitations of the study it is conducted that the prorosities will not be affected by recasting of neckel-chromium alloy. Clinical Implication: Porosities in dental casting alloy can alter physical and mechanical properties of the mental which inturn may lead to failure of crown and bridge, and also cast partial denture prosthesis. 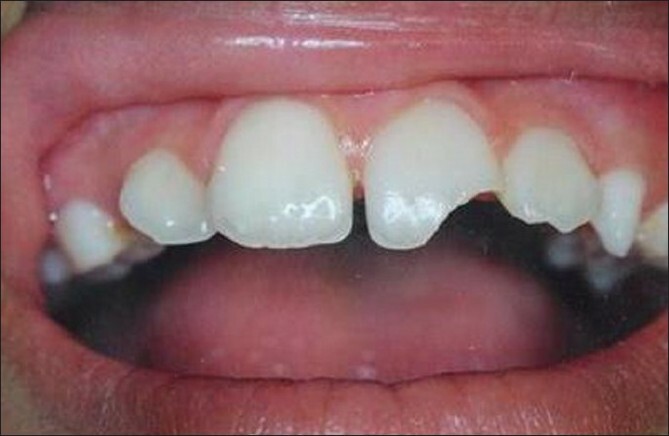 Coronal fractures of the anterior teeth are a common form of dental trauma that mainly affects children and adolescents. One of the options for managing coronal tooth fractures, when the tooth fragment is available, is reattachment of the dental fragment. Reattachment of fractured fragment can provide good and long lasting esthetics. This is a report of a 9 -year follow-up of a oronal fracture case successfully treated using tooth fragment reattachment. Accidental foreign body ingestion or aspiration is a common problem in children. Children often have a habit of inserting objects into their mouth. Some of these objects can be accidentally ingested or even aspirated which can be frightening and a stressful experience. But the presence of foreign objects in the teeth are rare. The foreign objects in the teeth may act as a potential source of infection and pain. In most of the cases, children avoid informing their parents due to fear of punishment. 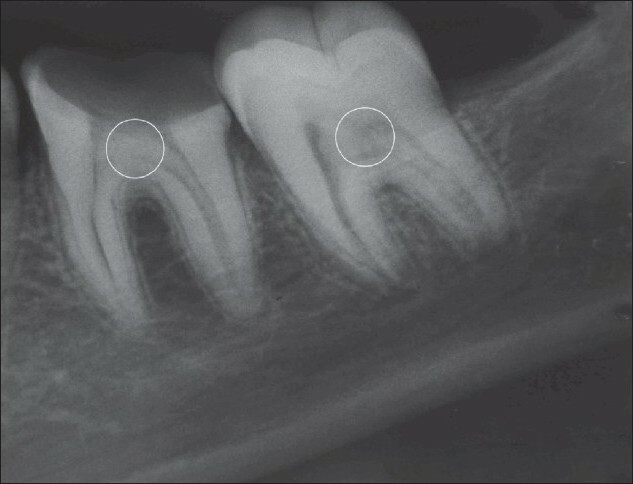 This paper presents two cases of foreign objects embedded in the deciduous teeth. In both the cases, parents were not aware of foreign body ingestion by their children. Presence of oral habit in 3-6 year old children is an important finding in the clinical examination. An oral habit is no longer considered as normal for children near the end of this age group. In pre-school children, digit and dummy sucking is a predominant habit, and girls are found to have a higher level of sucking habit then boys do. 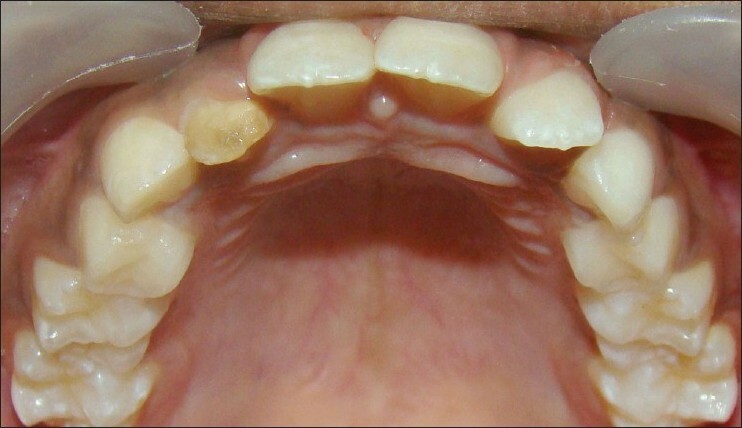 Here is a case report of a unique sucking habit, which if not stopped, will lead to dental problem in the child. Hypoplasia is the result of disruption in the process of enamel matrix formation, which in turn causes defect in quality and thickness of enamel. 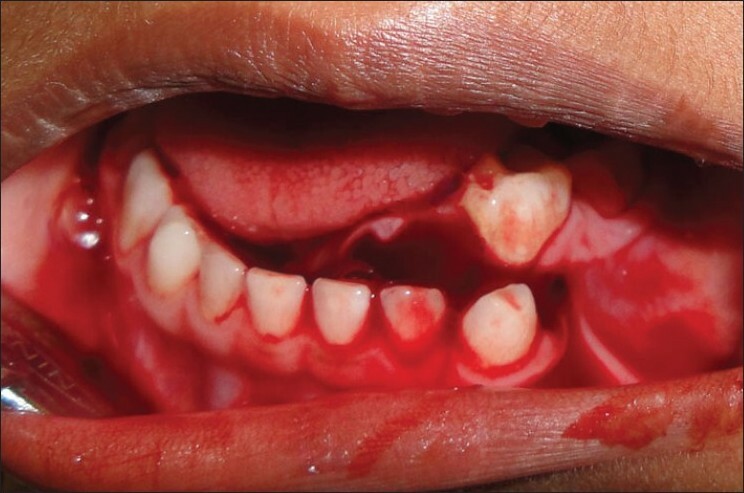 Four cases of Turner's hypoplastic teeth with a previous history of trauma/infection in their primary predecessors at the age of 2-3 years have been reported. These hypoplastic teeth had turned non-vital without any carious insult, cavitation or further trauma. This article thereby stresses the importance of early detection of enamel hypoplasia and proper management at the earliest possible stage to enable an efficient prevention from clinically non-evident microbial invasion in the dentinal tubules and concomitant pulp pathosis. Socket sclerosis is usually asymptomatic and does not require any treatment. The only potential complication arises during orthodontic treatment, wherein sclerosed socket of the premolar teeth may be an obstacle in closing the space by movement of teeth through the extraction space. This article demonstrates the problems encountered during the orthodontic treatment of a 20-year-old Malaysian woman with socket sclerosis and the treatment strategy employed to overcome the same. Malformations of vascular nature originate as anomalies caused due to errors in vasculogenesis. These tumors are generally broadly classified into vascular tumors (hemangiomas) and vascular malformations (venous malformations, arteriovenous malformations, lymphatic malformations). These descriptive tumors and malformations have been categorized based on the architectural assembly of vessels. Lymphangiomas are further subclassified microscopically into capillary, cavernous, cystic and lymphangioendothelioma, depending upon their histopathological features. Lymphatic malformations or lymphangiomas are uncommon congenital malformations of the lymphatic system, usually occurring in the head and neck region, characterized by collections of ectatic lymph vessels that form endothelial lined cystic spaces. Advancements in the knowledge of pathogenesis of such vascular malformations are continuously changing their treatment protocols. Early recognition is of utmost importance for initiation of proper treatment and avoiding serious complications. Hemangiolymphangioma is a variant of lymphangioma showing vascular component. Herewith, we present a case of vascular malformation diagnosed as hemangiolymphangioma histopathologically in a 9-year-old girl, along with a review of literature regarding its categorization. Although odontogenic keratocysts (OKCs) are benign, they are often locally destructive and tend to recur after conservative surgical treatment. They must therefore be distinguished from other cysts of the jaw. Keratocysts possess outpouchings and microscopic daughter cysts from which recurrences may arise. Histologic examination is essential for diagnosis since the appearances on roentgenograms and at operation usually do not reveal the true nature of the lesion. Since many non-dental surgeons and pathologists are unaware of OKCs, a case is presented in which surgical treatment was by original conservative method. Decompression causes a reduction in the cyst volume with new bone formation so that the structures impinged upon (e.g., teeth, nerves) are completely free. Brachman de Lange syndrome or Cornelia de Lange syndrome (CdLS) is a genetic disorder which can lead to severe developmental anomalies. It affects both the physical and intellectual development of a child. It is characterized by skeletal, craniofacial deformities, gastrointestinal and cardiac malformations. This syndrome is of rare occurrence and affects between 1/10,000 and 1/60,000 neonates. 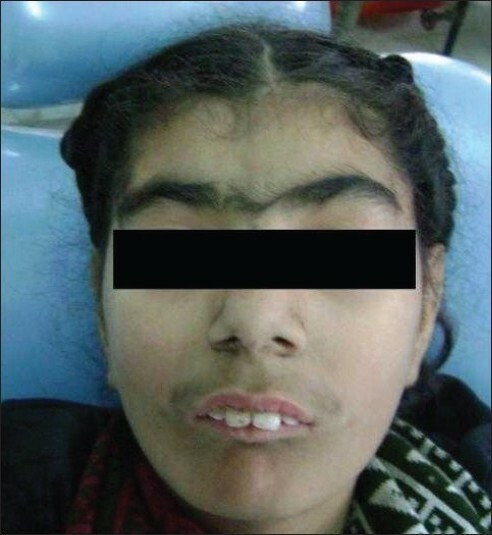 Diagnosis is based on the characteristic phenotype, in particular, a striking facial appearance, prenatal and postnatal growth retardation, various skeletal abnormalities, hypertrichosis, and developmental delay. 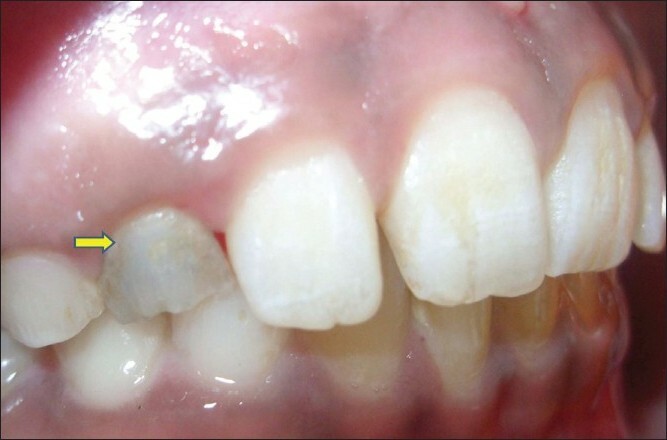 Here, we present the case of a 13-year-old patient, with micrognathia, delayed eruption, multiple carious teeth, missing teeth and periodontal problems together, which had never been reported before. The father was also found to have the same missing teeth as the girl child. Intraoral fibrous overgrowths of the soft tissues are relatively common and may be benign reactive or neoplastic lesions. A series of 10 lesions is presented which included pyogenic granuloma, fibroma and peripheral ossifying fibroma. Almost all the lesions occurred in the second and third decades and were present in the anterior segment of the jaws, with a distinct female predilection. Majority of these lesions were asymptomatic and the patients reported for treatment only due to the discomfort during function. Histopathologic examinations were done for diagnosis of these lesions. Surgical excision along with removal of causative irritants remains the treatment of choice. The extent of excision should depend on the severity of the lesion, as some of these lesions have a tendency for recurrence. All the patients in this series were closely followed up for a period of 2 years and showed no signs of recurrence. Myiasis is a relatively rare condition arising from the invasion of body tissues or cavities of living animals or humans by maggots or larvae of certain species of flies. It is an uncommon clinical condition, being more frequent in underdeveloped countries and hot climate regions, and is associated with poor hygiene, suppurative oral lesions; alcoholism and senility. Its diagnosis is made basically by the presence of larvae. The present article reports a case of oral myiasis involving 20 larvae in a patient with neurological deficiency. Crouzon syndrome is an autosomal dominant condition of the craniosynostotic syndromes without syndactyly and with various dentofacial anomalies. Craniosynostosis, maxillary hypoplasia, shallow orbits, ocular proptosis and hypertelorism are the characteristic features of Crouzon syndrome. This report describes the variable clinical features in affected individuals over two generations of a family with dentofacial deformities and review of literature. Pulp stones are relatively frequent finding on bitewings and periapical radiograph, but their occurrence in the entire dentition is unusual. Such an unusual occurrence of generalized pulp stone was reported in a 13-year-old girl. The dental, medical and family histories as well as the findings from the clinical examination of the patient were not contributory. Biochemical analysis of the removed pulp calcification from one of the teeth during endodontic treatment showed large amount of calcium, phosphorus, and carbonate. However, metabolic evaluation of patient through liver function test, kidney function test , and blood investigation did not show any metabolic disorders. Patient was also evaluated for any systemic, syndromic or genetic involvement, but this was also non-contributing. Therefore, it is suggested that this unusual cases may be of idiopathic origin. Esthetics is a primary concern amongst young patients and represents a challenge to the dentist. 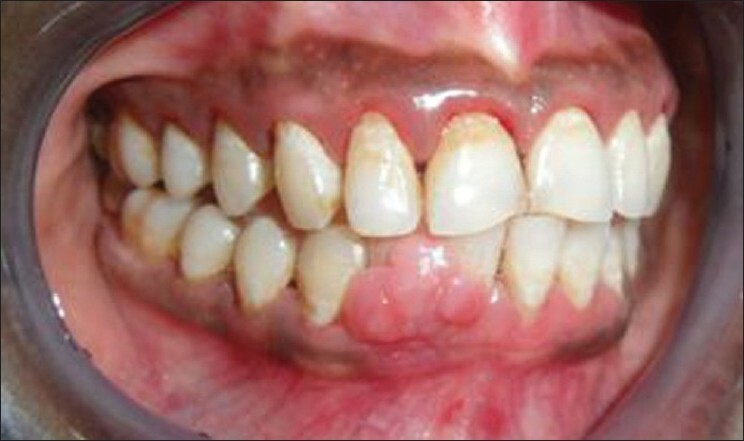 Discolored teeth are frequently seen in the general population. Several techniques have been devised to minimize or completely eliminate tooth discoloration. 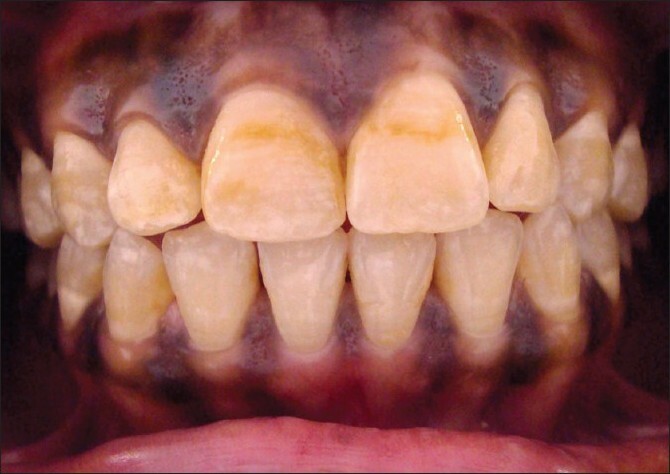 This case report highlights the successful management of enamel discoloration via modified microabrasion technique followed by in office bleaching. This study describes a technique for treating anterior hypoplastic teeth using indirect nanocomposite veneer restoration. The prime advantage of an indirect veneer technique is that it provides an esthetic and conservative result. One of the most frequent reasons that patients seek dental care is discolored anterior teeth. Although treatment options such as removal of surface stains, bleaching, microabrasion or macroabrasion, veneering, and placement of porcelain crowns are available, conservative approach such as veneer preserves the natural tooth as much as possible. Full veneers are recommended for the restoration of localized defects or areas of intrinsic discoloration, which are caused by deeper internal stains or enamel defects. Indirectly fabricated veneers are much less sensitive compared to a operator's technique and if multiple teeth are to be veneered, indirect veneers can be usually placed much more expeditiously. Indirect veneers last much longer than the direct veneers. Therefore, indirectly fabricated veneers are more advantageous than directly fabricated veneers in many cases. Mandibular fractures are relatively less frequent in children when compared to adults, which may be due to the child's protected anatomic features and infrequent exposure of children to alcohol related traffic accidents. Treatment principles of mandibular fractures differ from that of adults due to concerns regarding mandibular growth and development of dentition. A case of a 4.5-year-old boy with fractured body of mandible managed by closed reduction using open occlusal acrylic splint and circum mandibular wiring is presented. This article also provides a review of literature regarding the management of mandibular body fracture in young children.